Amanda is one of two local Dyspatch board members working directly to protect our local land base as chairwoman and executive director of Save Our St. Vrain Valley Campaign, which opposes plans for an open pit gravel mine in the ecologically unique St. Vrain River watershed in traditional Arapaho, Cheyenne, and Ute Territory (Boulder County, Colorado). Amanda was born in Cuba, left with her family at age of six and was raised in multicultural Miami. She has a BA in Literature and Philosophy from Florida International University and an MA in Eastern Studies from St. John’s College in New Mexico. She is a writer, devoted mother of two beautiful boys, and tireless environmental and human rights activist. Michelle is assistant professor in Anthropology and Social Change at the California Institute of Integral Studies in San Francisco. Her research interests include critical political ecology, urban social movements, and agri-food studies. Her work uses interdisciplinary frameworks to explore the dynamics between activists engaged in changing the socio-spatial landscapes of cities and food systems and the contemporary institutions with which they interact. Michelle approaches her research with over a decade of experience working with food justice and urban agriculture organizing in the United States and Mexico. Her research contributes to a broader effort in the social sciences to study the cultures, political imaginaries, solidification of practices, and limitations of today's radical social movements. Michelle received her B.S. in Natural Resource Management and Political Science from Colorado State University and her PhD in Environmental Studies from University of California Santa Cruz. Targol received her BA in film studies from the University of California Irvine and her PhD in history of consciousness at University of California Santa Cruz. She is presently working on her book manuscript entitled Why Does the Other Suffer? War, Trauma, and the Everyday. 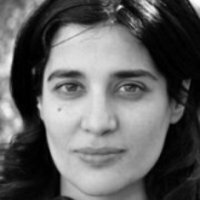 She has taught courses in critical theory, postcolonial critique, media studies, and Iranian cinema. Targol is currently assistant professor in Anthropology and Social Change at the California Institute of Integral Studies in San Francisco. Her contributions to Dyspatch have been many including guidance on methodologies and theories of activist ethnography and accompanyment with environmental efforts. Doug is a renowned frontline activist and freedom fighter with experience on countless humanitarian and environmental direct actions. He is a movement designer and an award winning author of Think Indigenous ~ Native American Spirituality for a Modern World. Doug is a well known entrepreneur and left the world of Fortune 500 business consulting after two decades to bring those skills to the world of land defense and other initiatives rooted in sovereignty, equality and liberation for the next seven generations. Doug is a board member of Lakota Way, an indigenous Native American community that serves those on a healing and spiritual journey. And, he’s the co-founder of Spirit Horse Nation, a community that serves as spiritual and strategic support to a network of environmental and social direct action groups.